Reptiles are not very commonly seen as pets in every other house, unlike dogs and cats. Therefore, if you plan to bring home one, be prepared to get confused regarding which species to choose, how to take care of it, what are its husbandry needs and so on. Each species of reptiles has some particular husbandry needs of its own and there is normally so much information available out there that you can be easily led astray. 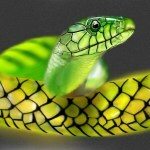 It’s therefore essential to know some facts about reptiles so that you can make the best choice. There are countless personal opinions and care sheets online as well as in pet stores. Be sure that you do thorough research so as to make the most informative decision. Numerous controversial opinions exist regarding sand as a substrate and the hazard it poses to reptiles. There are also reptile owners that guarantee about using sand and have never faced any problems, while there are others who have lost one or multiple reptiles to sand impaction. Reptiles use their tongue as an eating or sensory tool. While they take their tongue out, sand can be ingested. This sand is not easily digestible and gets deposited internally. Only sometimes, though painfully, reptiles can manage to pass the blockage, but most of the times, it has to be removed surgically or it can make them very ill and ultimately die. Sand is advertised as a “natural” substrate and so, best for desert reptiles. But there are high chances that the reptile you will be bringing home is not accustomed to actual desert and are in fact captive-bred. Sand is also not extra hygienic and is also one of the most chaotic substrates. Its particles can get trapped in eyes and other openings, leading to irritation and considerable damage if left unattended. The requirements of calcium differ from reptile to reptile. Some reptiles require feeders dusted with calcium every day or a capful of calcium all the time, while others don’t require calcium at all, or they need it very rarely. Be sure that you do complete research about this for your chosen breed before you bring it to home. Over-supplementing can be equally detrimental to your reptile as under-supplementing. Usually, juvenile and breeding female reptiles need heavier doses of calcium than other reptiles. Most pet stores keep two types of calcium with them – with or without vitamin D3. Vitamin D3 helps in the absorption of calcium. Reptiles produce vitamin D3 when exposed to natural or artificial UVB rays. Nocturnal reptiles are able to produce D3 even without exposure to UVB rays. Under-supplementation can cause MBD (Metabolic Bone Deficiency) because of which bones become weak and can fracture, break or can be deformed. In such a condition, their ability to walk, catch prey and eat is affected. If left untreated, it can even be fatal. Again there are different needs of temperature of different reptiles. Some reptiles require a temperature gradient, i.e. a cool and a warm side, since they require thermoregulation. Their body temperature is determined by the temperature of their environment. Other species require warm temperatures and a basking area too, which should be normally around or above 100 degrees Fahrenheit. Still others require cooler temperatures in the night than in the day. Some other species require under-tank warmth to warm up their belly and for food digestion. As long as you know well what you should do, all these needs can be met easily with the right equipment. There are bulbs, timers and under-tank heaters that help you maintain the right temperatures for your reptiles to be healthy and happy. Along with a proper heating system, it’s also essential to keep a thermometer ready that should work well and the temperature inside your enclosure can be gauged. It’s also important to consider the temperatures where you live. It may be tough to keep certain heat requirements if the area in which you live gets sudden drop in temperatures and vice versa if you live in an area where the temperatures become very high for a particular time period of a year. Air conditioning and heating in the home can also throw the temperatures off; therefore it is important to keep a close eye on your temperatures. Along with the heat requirement, each reptile species has a particular light requirement. Some nocturnal species need a blue or red light bulb at night, while some other diurnal species need no light. Some of the lights have heat components in them. Some also have UVB and UVA rays to help meet the particular needs of your pet. Some reptile species need no light besides the natural daylight that enters inside through the windows. However, it is essential that the tank is not in a place where sunlight has a direct entry inside. This additional light can unnecessarily change the temperature in the enclosure, which could be dangerous for your reptiles. Depending upon where your reptile belongs to, it will need different types of moisture. Some tropical reptile species require a very high amount of humidity, while for desert reptiles high amount of humidity can be dangerous. Some reptiles benefit from concentrated areas of high humidity while shedding. Thus, humidity requirements too depend on the breed. For reptiles needing high humidity, you can get different misting systems of both, simple as well as complex types. Some herpkeepers choose to hand mist using a spray bottle several times a day, while others prefer to get a system that does misting. Of course, hand misting takes more time and effort. Many reptiles stay hydrated with this method, since many species don’t drink from a standing water source and lick water dripping off leaves and tank’s sides. Making the tank perfectly humidified is important for the health of scaled pets. All the above information is brought to us by the experts at Reptile City who is an authorized retailer for nationally recognized brand names of pet products. That means their customers get full warranty as well as product support provided by the makers of all products for sale on their website. At Reptile City, they view pets as members of the family, so their aim is to offer customers products that can make sure that their beloved pet will enjoy a healthy, happy life. “Treating your special pet like part of the family” is the motto of Reptile City!